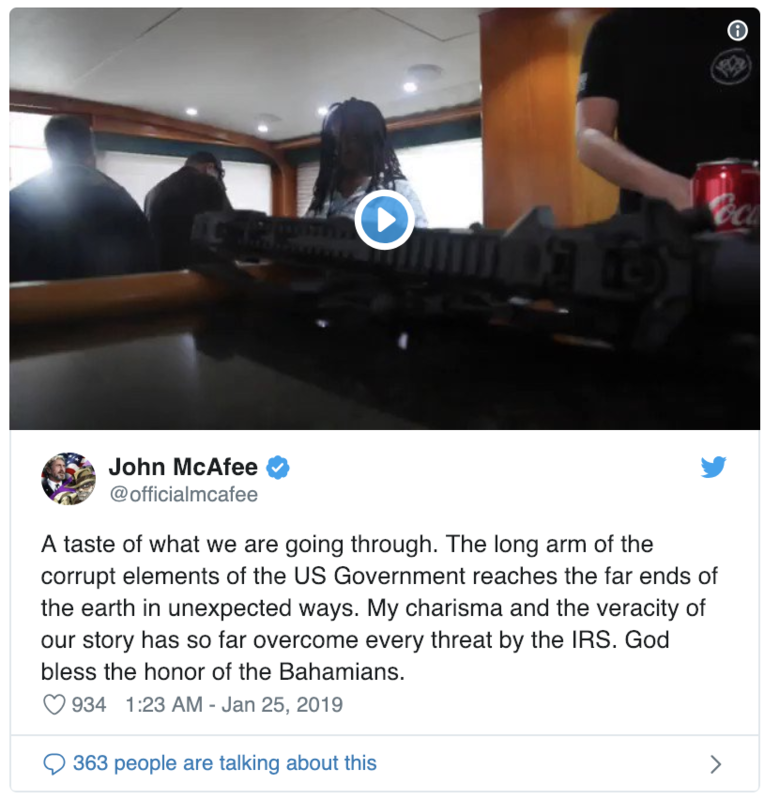 This week we have talk of parody accounts, celebrity endorsements and the tale of one badass running straight from the IRS and straight at The White House at the same time. Stay with us until the end for that one! Most newsletters don't promote trolls but this is Shitcoin.com. In response to the spicy video, some Twitter users got a little feisty. 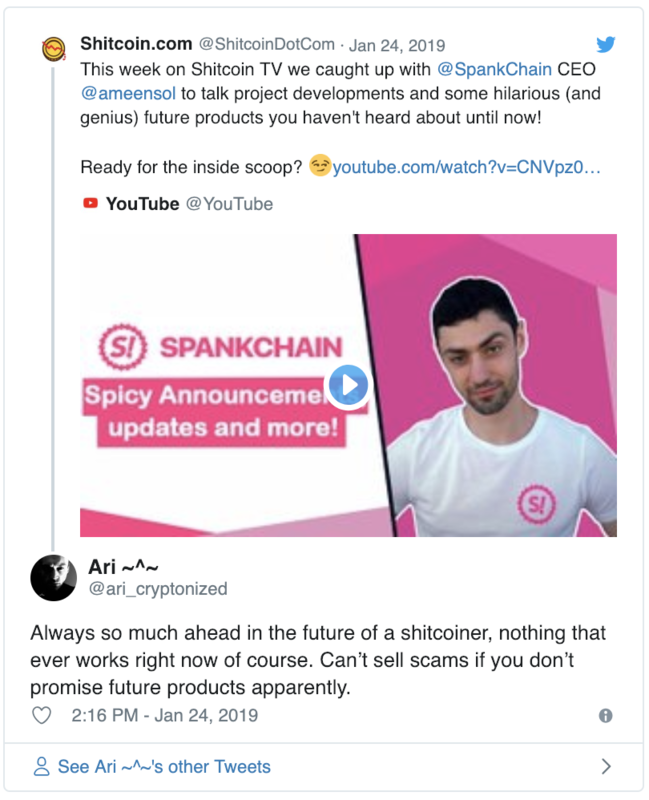 Andreas shared a rebuttal which was later confirmed by Ameen himself. 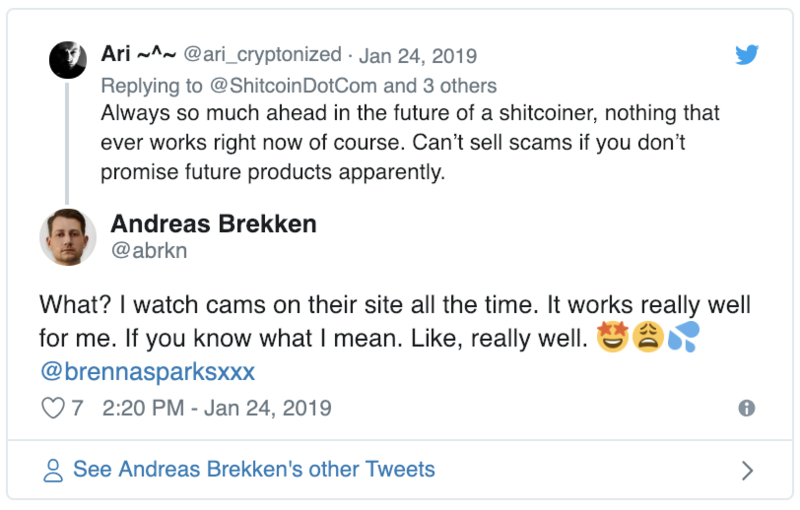 Sorry Ari, you can’t unfortunately paint every coin that isn’t Bitcoin with the same brush. In celebrity news, Soulja Boy is now talking about how “the glory days of Bitcoin have passed”. In an interview on Cheddar the 28 year old spoke about how as everyone knows about Bitcoin now, the gains just aren’t there any more. We don’t know what’s more shocking, the fact that Soulja Boy is actually only 28 (we thought he was at least 40 now) or that he sounds like a total cuck in this clip. For a guy that has a song titled “Bitcoin” we expected more. Shame on you, Soulja Boy. From the un-spicy to the red hot, Jihan Wu has a new account which may or may not be his. This parody hilariously asked one of his fiercest critics for a job. Boy is this newsletter jam-packed with our favourite Bitcoiners. Here’s another. Luke Dashjr piped up with a suggestion on how to protect Bitcoin. Now we interrupt this newsletter for an update. 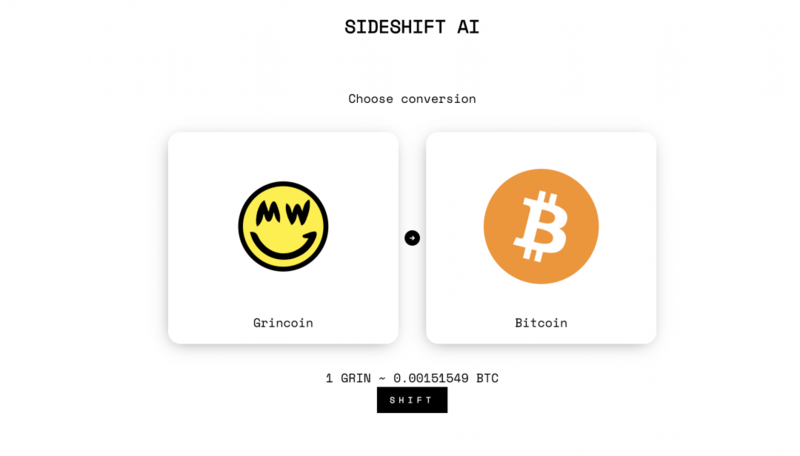 Andreas’ has been busy building SideShift AI - the automated coin swap service you need to be using. He’s already been getting coverage on various media outlets and the project (and AI) is getting better by the day. But he needs your help. It's now time for the grand finale. 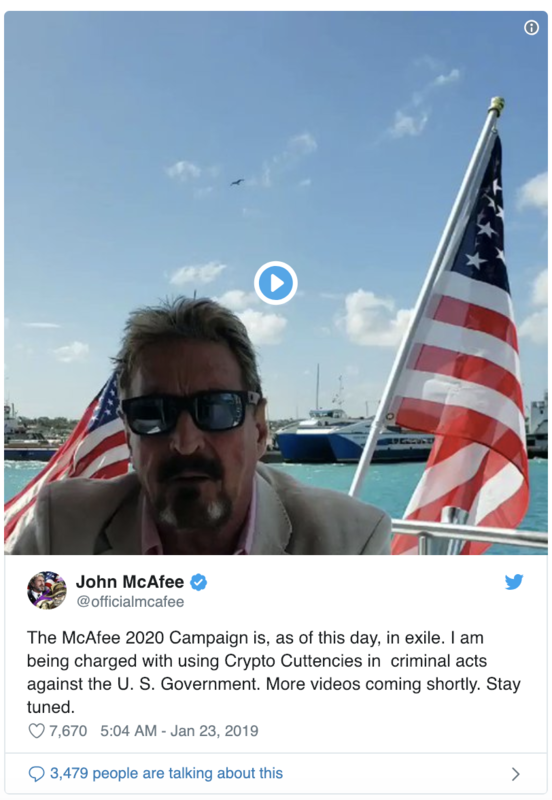 You may have heard that John McAfee is running for President. 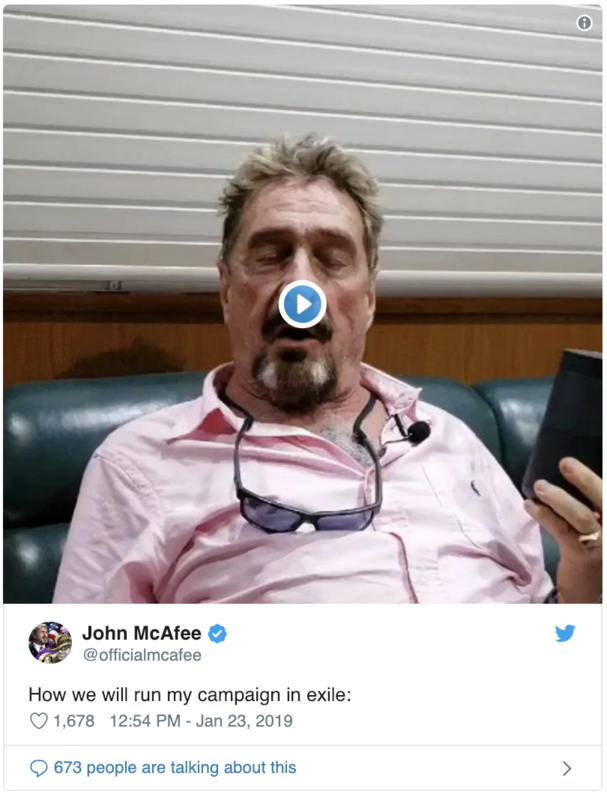 He has publicly stated he doesn’t actually want to win, in fact this is merely a campaign to raise crypto awareness he says. One caveat in all of this is that John has publicly stated several times that he has not paid taxes in over 8 years. With this fact out in the public it seems the IRS are after him, forcing his campaign into exile. The best bit about this whole thing is that he has been tweeting it all. 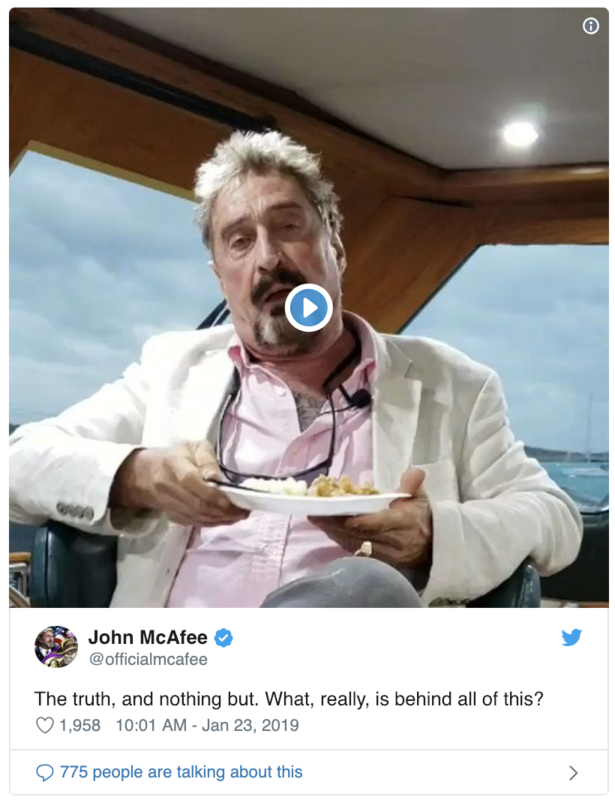 In a later tweet John went on to give a broader explanation of what is going on and why this has come to a head. He spoke of a battle between the old world and the new. This man’s got perspective. So how will he run a presidential campaign in exile? Well, there are ways. And they involve masks. People in said masks. Those masks will also have John’s face on them. 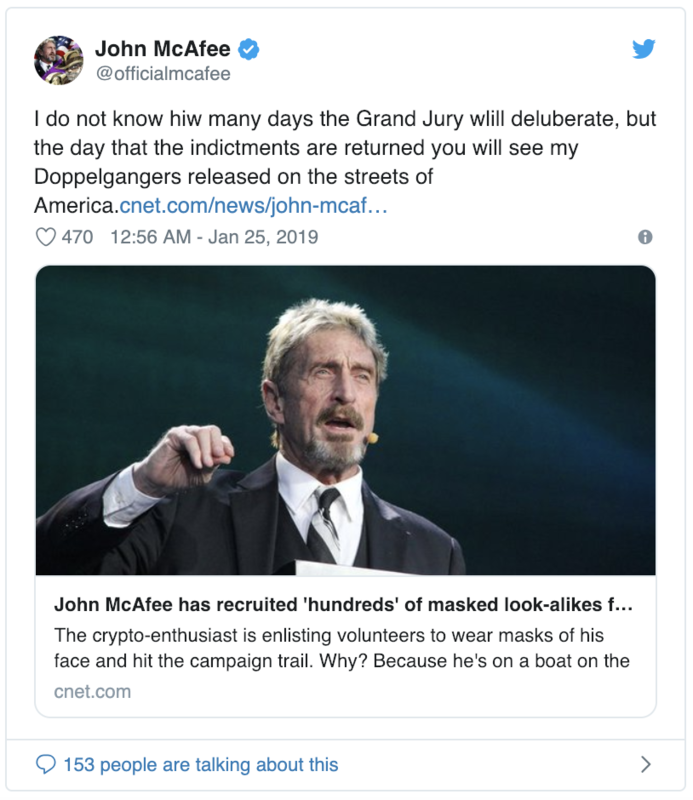 John has made no secret of how he thinks this will all go down. He’s a man of his word too so we find it difficult to think otherwise. 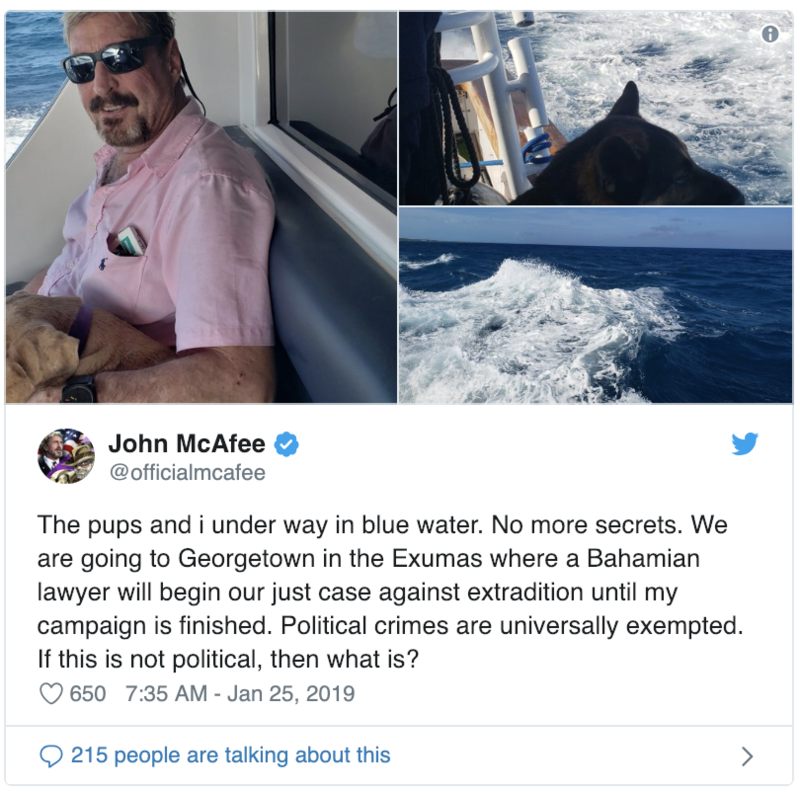 But a campaign in exile is not without its difficulties… as was shown in the below clip where law enforcement seem to be with him on the vessel. But alas, the crusade will continue! To Georgetown he goes. Now there is every possibility that in fact he is pulling off the greatest PR stunt ever. But the content he’s putting out is extremely convincing. Regardless, John, we salute you. We are eagerly waiting to watch what happens next!